Darkness seems so oppressive, so overbearing, overpowering. Darkness cannot hold its own. Light, even unseen; carries this attribute. Sounds emerge with light or dark timbre. 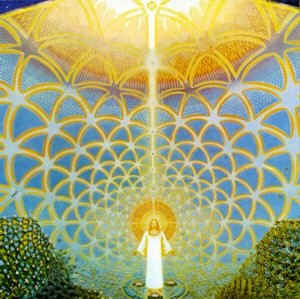 Physical light manifests as only Lightness; Illumination! 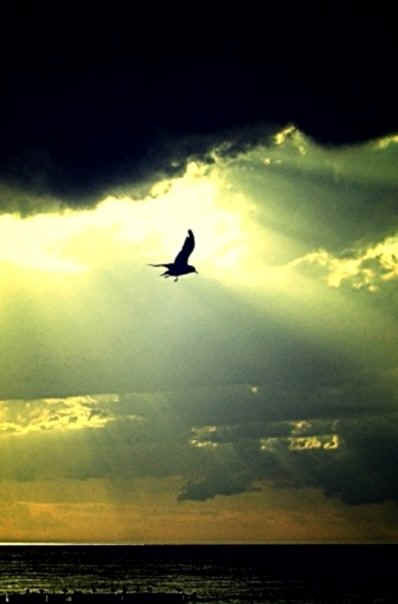 Therefore, bring into your day any ray of Light you can. Imagine it! Happiness! Wholeness! Envision it! Your fallen friend becomes remembered for the joy you knew together! The emptiness becomes filled with Memories, and more recalled. Alive, alive becomes the warmth of mutual respect. Change the words you feel into their antonyms. Your situation may be sad, while you have choice to be grateful. Choose the words you utter to self and others to reflect Light. If someone hurts or insults you, refuse to join them in darkness. Reflect Light to yourself and you will BE Light. Effortlessly infuse light into Humanity's need to evolve. Is it possible for only you to be happy? Is it possible for only your family to be happy? Is it possible for only your country to be happy? No, No, it is not..
Because I like to believe that "happiness" which in Japanese is said "Shiawase" 幸せ means the same as the phrase "Shi-a-wa-se" (四安和瀬） This four character phrase describes water that is calm and at peace in all four directions. If they are surrounded by happiness, water, trees, and flowers will be full of life, clothe themselves in green and give forth fresh clean air for us to breath. And there are always withering trees, leaves, and petals are the creators, in turn, of rich loams. A world is created that allows all living things to exist in harmony. So only when all are "happy" surrounded by calm and peaceful water, can we know real happiness, I believe. But then how can this happiness be achieved? How about asking that number which is said to be a composer of this universe? Indeed, the cosmos begins with "1"
And "1" is yourself and myself. Let us each be happy first to do that. Quotes are from the book, "Messages from water vol.3 "
just remember you are a star. you would be a Hit! that could set the whole world Free. their empty soul less places. and say I am a　star. remember you are a STAR. News: (heard on March 28, 2010) Science is now corroborating that the actual DNA of anyone within 1/32 of one's genes will change when we make significant shifts in our Belief System. We open up our DNA and those closest to us...it really IS up to US. WE ARE the Change we want to see in the world! So Dream Big...Envision...ACT; always responsibly...and birth the Sacredness of Life back into our World. TWO FRIENDS WERE WALKING THROUGH THE DESERT . come recreate your paradigm for happiness, success and evolutionary thought.